Don't be modest about your next California event! 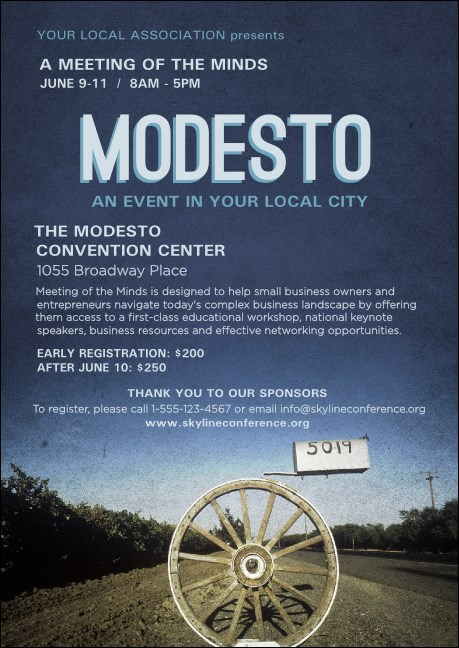 Spread the word with the Modesto Postcard. Printed on high quality card stock, this postcard has plenty of room for your event information and features gorgeous blue skies and a wagon wheel on a western road. Whether you're hosting a concert, fundraiser, or conference, find the right promotional materials at TicketPrinting.com!